Today I’ve partnered with Barefoot Refresh to bring you this recipe for Strawberry Peach Spritzers. Fresh strawberries, tree-ripe peaches and Barefoot Refresh are the perfect refreshing mix to help you hang on to those last few days of summer. I am holding onto every last second of summer that I can. I just never want it to end. Every year, it seems harder and harder to see the summer come to a close. The school year seems to start earlier (Adam’s a teacher), the leaves start to turn and fall earlier, and the nights get cooler faster. I know it’s technically in my head since Adam went back later than usual, the leaves are pretty much the same every year and we’ve just had a heat wave with the lows being in the 80’s at night. But still. I want my summers to last forever. Who wouldn’t want summer to last forever?! One way I can hang onto summer? Drinking all the summery drinks I can. 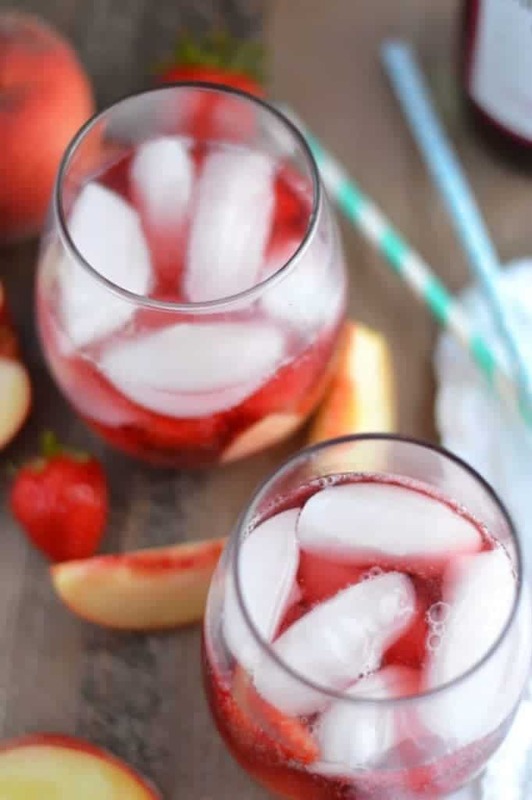 And I’ll start with these seriously summery Strawberry Peach Spritzers. Also, at this time, I really wish peach started with the letter S.
The star of this spritzer show (aside from the summer fruit) is Barefoot Refresh Summer Red Spritzer. It’s the perfect base because all you need to add to the drink are some ice cubes and your fruit. It’s such an easy cocktail that you can throw together at the last minute with very little effort on your part. 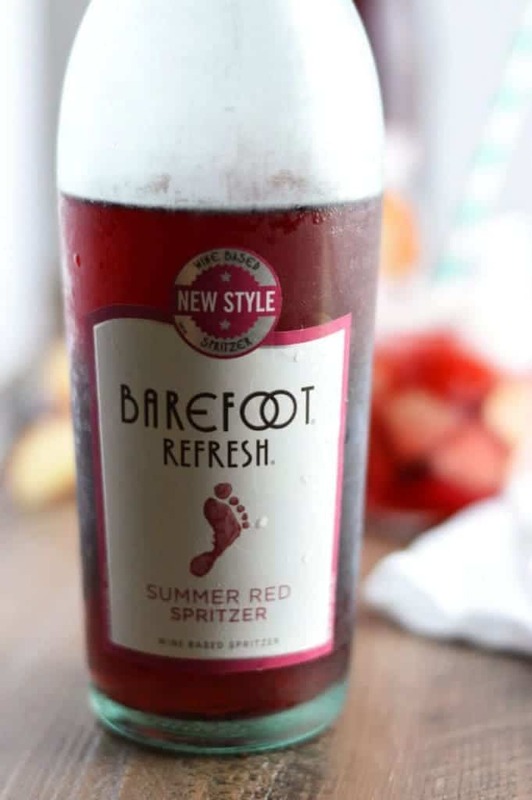 Barefoot Refresh comes in five amazingly refreshing blends: Crisp Red Spritzer, Crisp White Spritzer, Sweet White Spritzer, Summer Red Spritzer and Perfectly Pink Spritzer and retail for about $7/bottle. At that price, you can afford to try them all! You guys will probably hear me continuously whining about the end of summer approaching for the next few weeks. #sorrynotsorry In the meantime, let’s sip on our summery spritzers (yay for alliteration) and soak up that summer sun (again with the alliteration #cantstopwontstop). Enjoy! 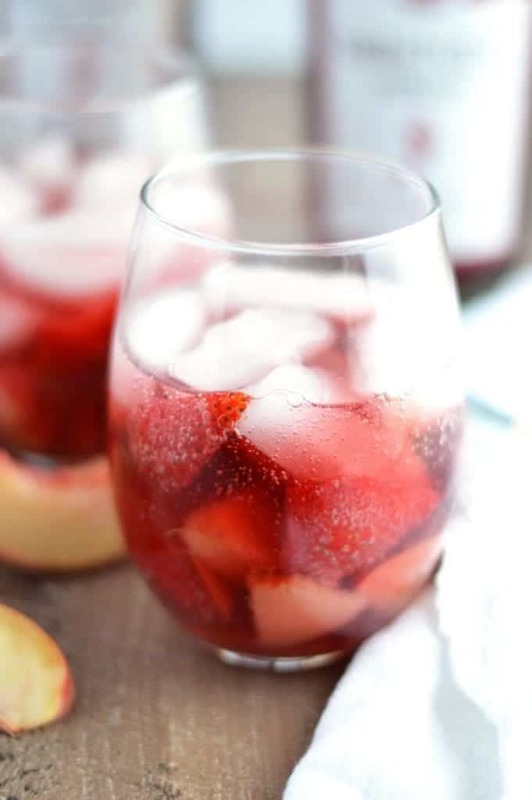 You'll love this recipe for Strawberry Peach Spritzers. Fresh strawberries, tree-ripe peaches and Barefoot Refresh are the perfect refreshing mix to help you hang on to those last few days of summer. 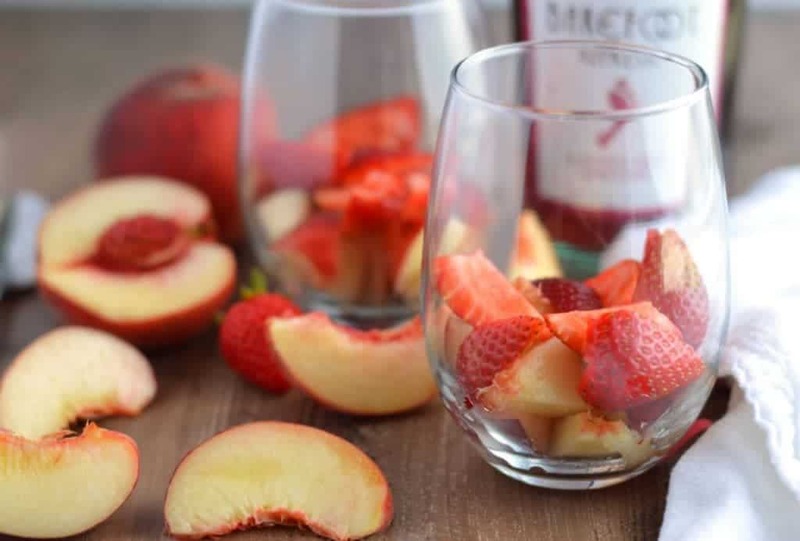 Divide the peaches and strawberries evenly between two wine glasses. 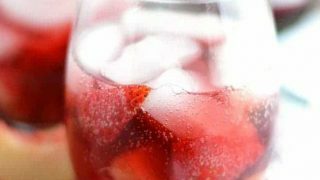 Add half a cup of ice to each glass and top with 1 cup of the Summer Red Spritzer each. 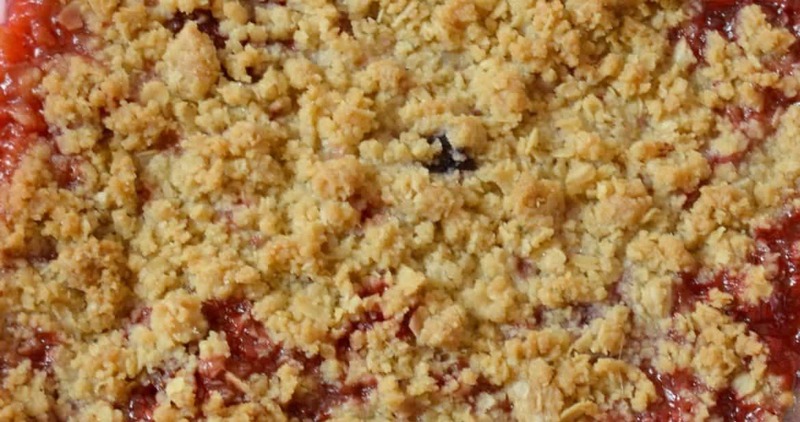 Garnish with additional peaches or strawberries if desired. Serve immediately. 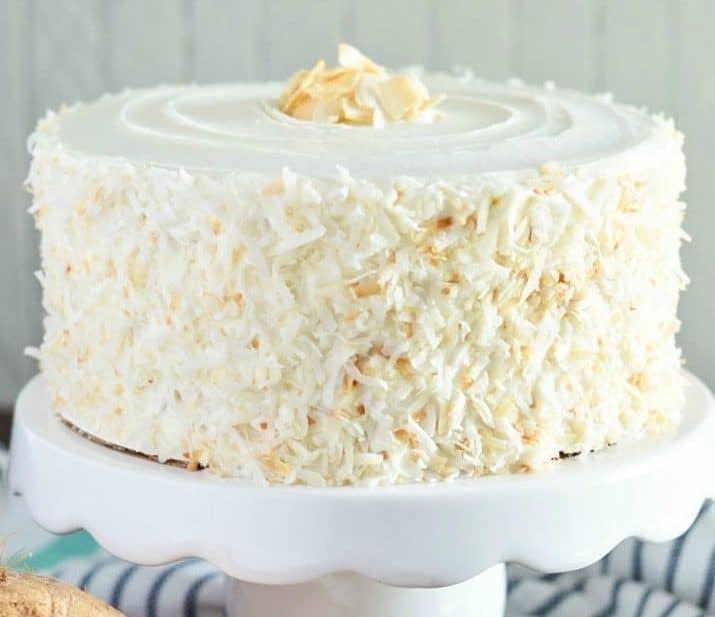 These are gorgeous and look absolutely delicious!! When we buy wine it’s usually barefoot because it’s so cheap! Good thing we have 90 degrees weather lined up for this week, more reason for a spritzer! YES PLEASE! I am loving the peaches right now, so SO good… this sounds so crisp and refreshing! I know, I’m all about the peaches! I actually have already gone through a peck and I’m buying another one this week ???????????? What a beautiful drink! I cannot wait to try this…it looks so refreshing! I’m with you Sharon – I don’t want summer to come to an end! 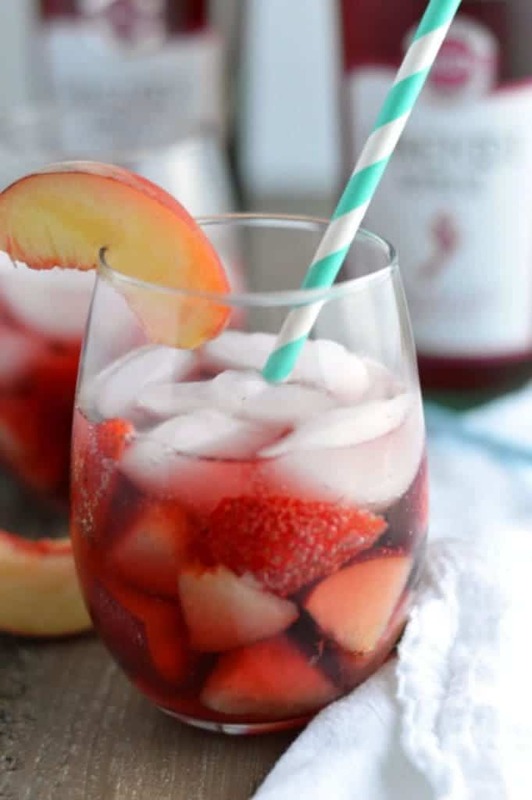 A wine-based spritzer + fruit sounds like a great way to try to hold on! YUM!!! Thanks for the inspiration! This is a fabulous drink for a hot summer day. That looks soooo good and it is SO hot today! Have a great weekend. How refreshing!! 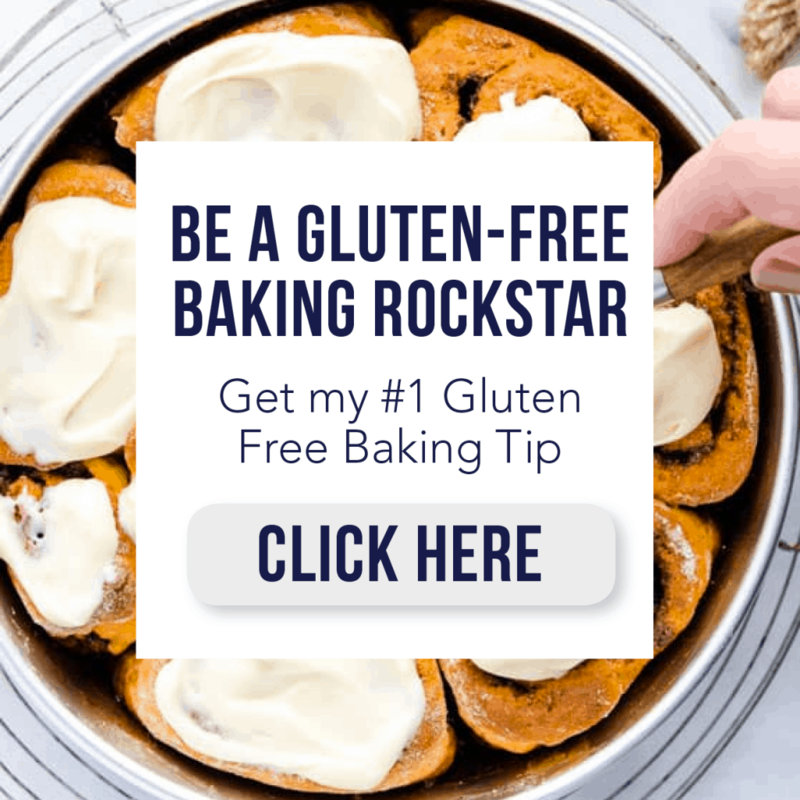 I would love it if you would link it up to Tipsy Tuesday at Grey is the New Black – a weekly cocktail linkup!